OH MY GOODNESS!! Cute alert cute alert! A handful of my favorite artists (yours too I'm sure!) under one roof? Little Circus shop - you rock. BIG TIME. OK so it's Belgium based and more for our non-US based readers, but that's ok they ship internationally too! Plus, most of the artists featured here have their own shops! 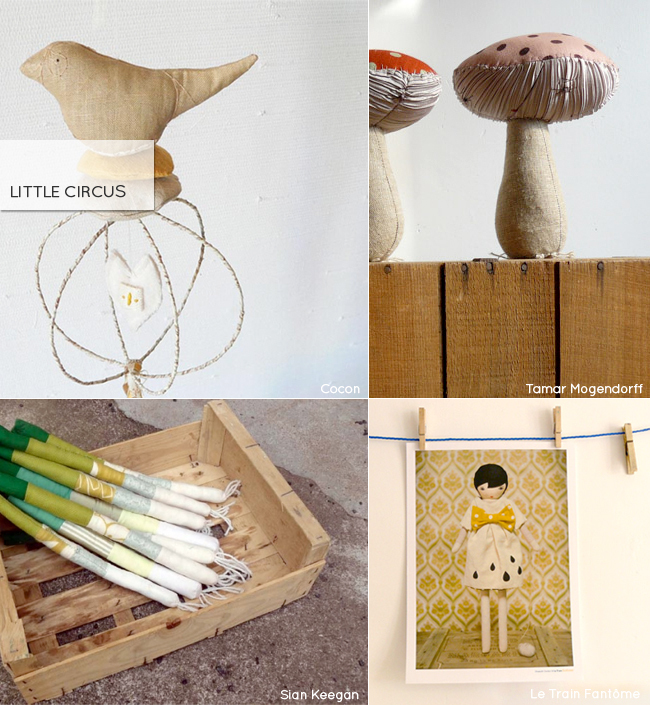 Here's just a teeny tiny selection of the talented artists whose works they carry. 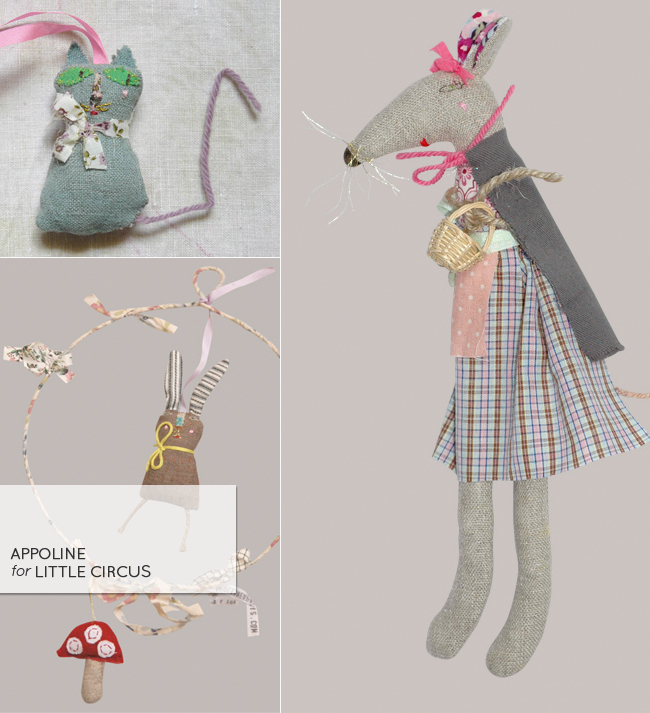 ... oh and I must get my hands on one of these creatures by Appoline of Apolline à Paris (cutest site BTW). So delicate and full of details and overflowing fancy!! Oh, I completely adore all the products here. I have one of Fanja's doll and a little rabbit from Appoline and a few of Tamar M products- birdcage and birdhouse. Oh! I love Le Train Fantome! uh oh....I am in big trouble....this is all so incredibly adorable! this is one of my favorite shops!! everything is lovely. no exceptions, which is semi-rare.